How do we value a unique home? Here, Daniel Nash explores just some of the many factors our valuers consider when visiting your home. Berkhamsted, Tring and the neighbouring villages are full of unique properties. In fact it’s one of the many qualities that draw so many people to live here. The accumulated effect of having so many individual homes is the premium people pay to buy one and so, to a degree, a unique home in this particular area already has a built-in higher value. Taking that into account, it’s clear that ‘unique’ on its own doesn’t necessarily translate as selling for a higher price than the previous unique home that sold. A unique house of typical 1980s architecture may not sell for more than an identical-sized unique house from the Victorian period. Then again, everyone might get a surprise. So how do we go about getting the price correct? We’ve listed below the factors that we take into account. Does a bigger audience mean a bigger price? 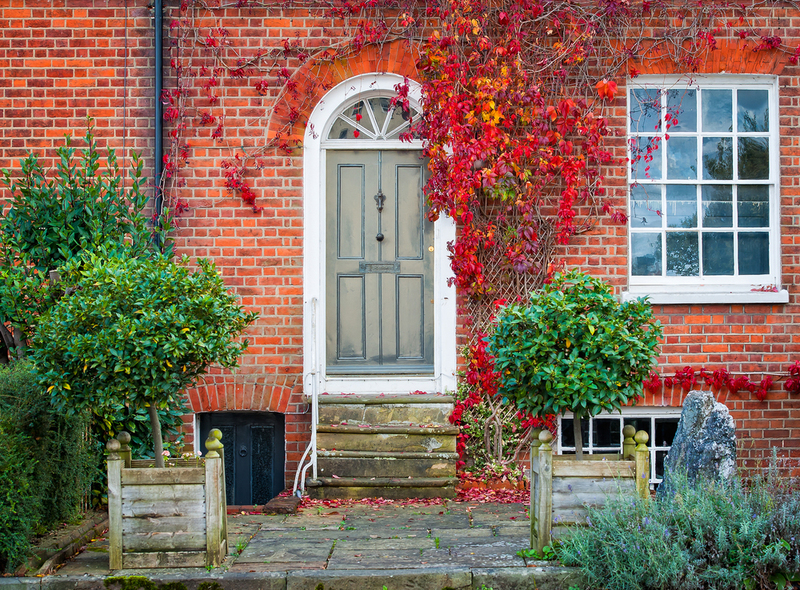 For a regular home in a street of identical terraced houses one might play the numbers game, but that kind of approach doesn’t necessarily translate to selling a unique home. There is a balancing act between generating the most interest, enquiries and viewings as possible (which might keep a seller happy in the short term), while also bearing in mind that the ‘right’ buyer might pay more than the crowd. Much of valuing a unique property can depend on speculating whether someone (possibly someone that hasn’t yet contacted us) might find the property perfect for them. Why are other properties that have sold used as comparable evidence, when none of them compare? That’s a very good question. Recent sales of similar-sized and/or nearby properties can provide a starting point; a useful guide as to the price that people will pay for a certain size of property or certain attributes. These might include £s per sq ft, the number of living rooms or bedrooms, the amount of land or whether other amenities (swimming pool, tennis court, parking, etc) are present. Do expensive kitchens and bathrooms make a difference? Kitchens and bathrooms are concentrated areas of value because of the amount of fixtures and fittings present, often a collection of the most expensive individual items inside a property. We’ll go into this in greater detail in future blogs, but ultimately the higher quality of the kitchens and bathrooms with the presence of well-respected, high-end brand names will usually add a premium to a price – but that’s not really related to a home being unique, unless the kitchen and bathroom are themselves of a unique design. How do land and other amenities affect the value? There are some people to whom 20 acres with paddocks and barns will be of considerable interest, and others where 1 or 2 acres for children to run around in would be plenty. Much can depend on the appropriateness of the house to the amount of land, how the land can be used and how maintained it is. Parking is also a consideration. In affluent areas such as Berkhamsted and Tring, it’s quite conceivable that a family could have 3 or 4 cars in regular use, so the ability to house them comfortably on a drive or in a garage could be of considerable value. Does an annexe automatically add value? An annexe will usually have been created in response to a particular family circumstance and been designed for a specific person – they are rarely created on a whim. It’s also very likely that any buyers wanting an annexe will have their own specific requirements, which may differ to any existing arrangement. For people not specifically seeking an annexe (which is most people), an annexe could be a welcome bonus, or could be something they’d want to reintegrate with the main house. It’s wise to remain mindful of this – the reasons for creating an annexe are often very personal and one family’s requirements may not fit with another’s. If you’ve come this far, you’ve doubtless gathered that valuing a unique home is, quite rightly, a long way from an exact science. Nobody would expect their unique property to be valued in formulaic fashion, although the theoretical number crunching can at least provide a background for pricing. The one crucial factor that we haven’t yet discussed is what feels right. Sometimes, all the data in the world can’t reproduce a hunch, a notion or a sense of what might be possible that comes from simply spending every day looking at houses, gauging people’s responses and listening to commentary. I have worked in Berkhamsted in Tring for almost 30 years and there have been plenty of properties where we’ve found a buyer at a price completely out of alignment with the data on recent and nearby sales. In summary, arriving at the correct price is a journey that combines your property’s particular attributes, hard data on recent and nearby sales, and, ideally, your estate agent’s expertise in selling homes in the same category, and of the same calibre as yours. If you’d like some advice on the value of your own property please do get in touch. Otherwise we look forward to seeing you for our next blog.